A special legislative session in Texas drew to a close late Tuesday without passing a bill to limit transgender people’s access to bathrooms. The now-dead bill had the support of the state’s governor and Senate, but it was opposed by powerful business interests and the Republican House speaker. The proposal was for a law similar to the one North Carolina passed and later partially repealed. It would have required trans people to use a bathroom that corresponded to the gender marked on their birth certificate. Supporters of such bills reject transgender identities and appeal to privacy concerns and the hypothetical risks of predators. Opponents of such bills point to the violence and harassment that trans people face when using a bathroom that doesn’t match their identity. The “bathroom bill” debate in Texas has carried on for months. After efforts to pass a stand-alone bill didn’t advance, the Senate and the House previously attempted to use amendments to unrelated bills to push a version of the bathroom ban forward. But support for the measure couldn’t overcome business concerns about economic fallout (like North Carolina experienced) or the opposition of one influential Republican. “Restricting bathroom use in public facilities was deemed a legislative priority by Lt. Gov. Dan Patrick. But House Speaker Joe Straus, with the increased backing of the business community, emerged as his most prominent foil on the issue. “Gov. 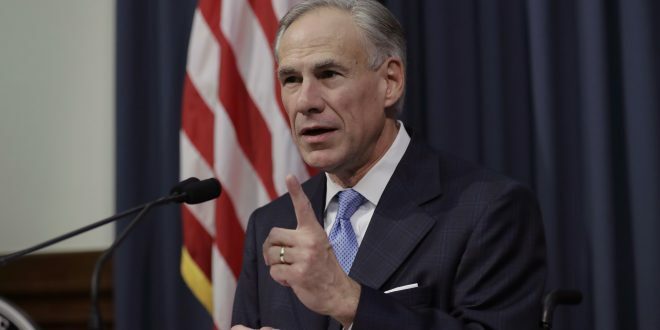 Greg Abbott — who for months during the regular session was reticent to voice his support for a bathroom bill — eventually took the lieutenant governor’s side and added the issue to his 20-item agenda for a special session that Patrick forced him to call by holding hostage legislation needed to keep open the doors at a handful of state agencies. Straus has infuriated Texas conservatives with his opposition to the bill, as Ben Philpott of member station KUT reported earlier this month. “I try to encourage cooperation. I try to encourage bipartisanship. I know that’s not a very fashionable thing today,” Straus told Philpott. Another of Abbott’s legislative priorities — a limit on how much property taxes can rise, which he had identified as his No. 1 goal — also failed to pass during the special legislative session. “The bill’s supporters say the idea is that people who don’t support abortion shouldn’t have to pay for a product that goes against their conscience,” NPR’s Wade Goodwyn reports.